We've put all our vivid hues into one energy saving, long lasting package of brilliant illumination, you're going to love these lights! 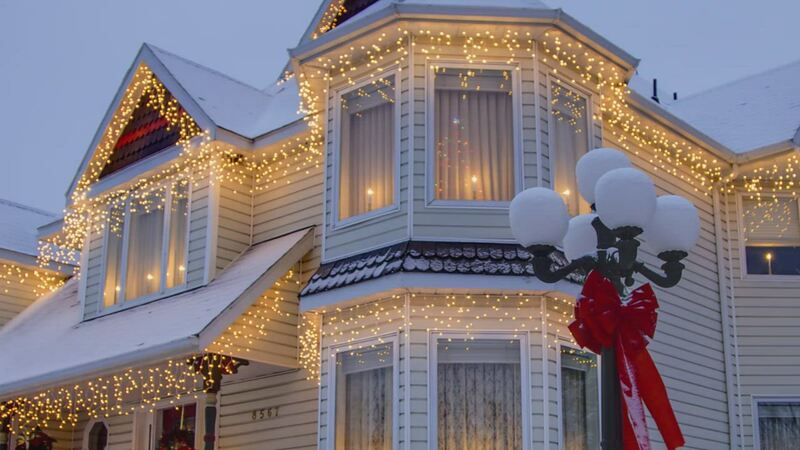 Multicolored icicle lights are environmentally friendly, highly durable and able to maintain professional display even in harsh weather conditions. Create a stunning Christmas lights design and cheerful ambiance at your next party when you hang these lovely lights! Lights were as advertised and ordered. No complaints. Love the color and brightness of these lights..measure carefully...since they are shorter strands than other string lights, I had to order another one because I was short! These lights were exactly what we hoped they would be. The lights are bright and the colors are excellent. Having made many purchases from Christmas Lights Etc in the past, this is just what we expected. Looks great on our house. We will be buying more right after the Holidays. I really like these lights. Good thick wires. Very short end wires for connection, so you don't have to fix the gap between strings of lights. Beware that the strands are shorter than the non-LED version. These are 7.5 ft long. Needless to say, I had to order more, my fault since I didn't read full description. I plan on ordering more lights for different parts of the yard. I bought 10 Sets of these lights in Dec 2013 and plugged them in with no issue.They still work as good as they did out of the box. Great product. Beautiful lights! These lights were exactly what I was looking for--vibrant colors. They cast a beautiful blue glow onto the house making it appear that the entire house is lit up. It's difficult to find color icicle lights so I'm glad I found these and that they are what I was looking for. Beautiful Lights!!! These lights were exactly what I was looking for--vibrant colors. They cast a beautiful blue glow onto the house making it appear that the entire house is lit up. It's difficult to find color icicle lights so I'm glad I found these and that they are what I was looking for. I bought several strings of these lights thinking they would match and be a replacement for some burned out ones I already have, but when I received them discovered they are a very different style so I can't use them as intended. Some closer-up photos of the product on the website would have been helpful. The term "M5 bulbs" means nothing to me, not consumer language. I will keep them and use them somehow, but not as I intended. Exactly what I wanted and got to me fast! Really happy customer! Very happy with this product. l first purchased multiple sets of LED icicle lights about four years ago. They have worked flawlessly every year. They are very bright and colorful. Purchased another set this season as a backup in case one of the older sets stop working. So far it is still in the bag.. So happy to get my icicle lights !! I am so happy to have gotten my icicle lights for next year... we love the bright LED lights but also like the hanging icicle effect....can't find both in our town. I went online, found this site, and ordered exactly what we wanted. Fast shipping, good tight packaging, everything was excellent. I would definately recommend Christmas Lights Etc to anyone.... Thanks so much !! These are fantastic lights. Although a bit more expensive than the regular Christmas lights, I think its well worth it. I do a massive light display, and I have changed all to LED. I noticed my PG&E bill was less this Christmas because of the LED. I am very pleased with my purchase. Bought these LED's hoping that they would be rich in color and bright. Well they are. The colors are very vivid, bright and distinct, not faded like the old mini's of yesterday. Will buy more later for next season. One thing i'm still looking for in these sets is that they incorporate more colors together. Instead of just five colors, include they other colors like pink and purple to have seven colors to the sets. Great to have a source out of season. Local stores do not carry lights beyond Christmas season.